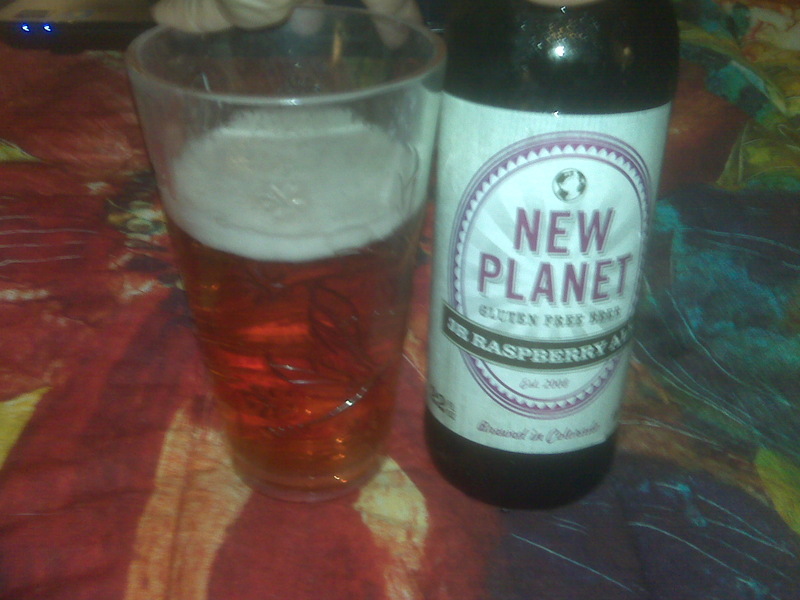 New Planet brewery in Boulder, CO is one of the few North American breweries that feature Gluten Free beers. While there are only two brews currently on their line (22 oz 3R Raspberry and 12 oz Tread Lightly Ale), both are certified Gluten Free and available only in Colorado. I had the luxury of sampling both brews when New Planet was one of the featured brewers at the Beer Bloggers Conference in Boulder a couple of weeks ago. Nose: If you close your eyes and smell the freshly poured pint, the aroma is faintly fruity but far from the heavy berry of wheat fruit beers. It reminded me more of a light amber than anything fruit based. Weight and color: A crystal clean light orange-red with a lightweight sensation on the tongue. There was an almost creamy aftertaste that I couldn’t place, but the main flavor was a refreshing, light fruit infused almost pilsner style – but without the tartness of many of that style. Enjoyment factor: Seemed a little flat and unexciting, but more enjoyable than the overpowering syrupy textures of some fruit beers. I could easily see drinking a few pints or so of this one chilled almost to ice-state on a hot Colorado summer afternoon. Recommendation: Thumbs up! I’d give it a hearty 7 out of 10 for enjoyment, versatility, and uniqueness based on the Gluten Free status.